Get to know how beautiful Ecuador is at Hotel Quito by Sercotel. 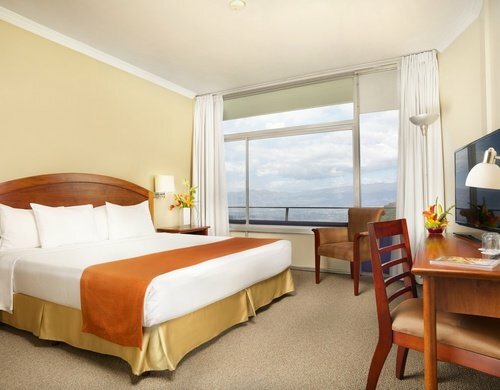 This hotel is situated in Quito, Ecuador, in the very center of the city with a wonderful location, very close to the city’s historic center, the Conference Center and the main shopping areas, that make it the perfect, exclusive place to stay for your holidays and your business trips. 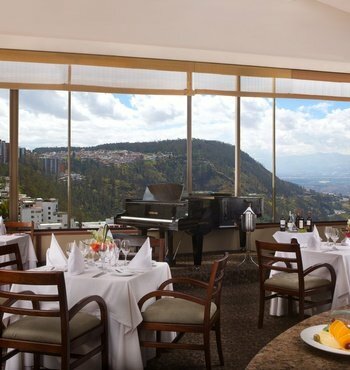 Stay in the heart of Quito and enjoy the exclusive treatment we offer in our facilities. The Art Deco style with décor that pays careful attention to detail will give you peace and elegance in which to unwind after a day’s sightseeing in the city or after a hard day's work. 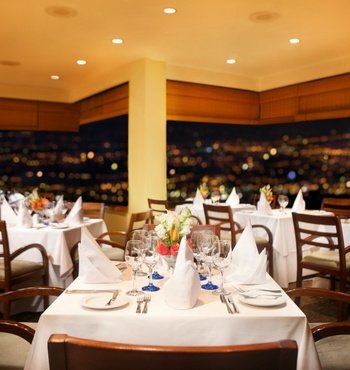 Get to know the wide range of services that this 4 star hotel in Quito offers and experience a hotel that offers the best care and attention. 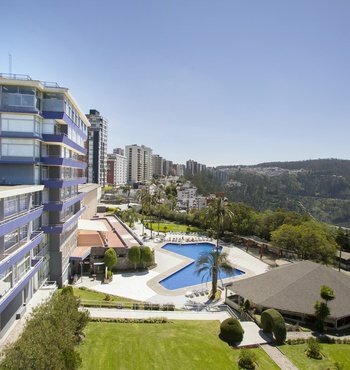 Get to know our rooms with views of the city center and the beautiful Valle Boscoso. Discover the delicious Ecuadorian culture in our Techo del Mundo restaurant while you try out the traditional dishes on offer from our restaurant’s extensive menu. We want you to have everything you need on your vacations and business trips so we have put at your disposal a spa area with sauna and Jacuzzi and equipped with all kinds of body treatments to help you unwind during your trip to Quito. 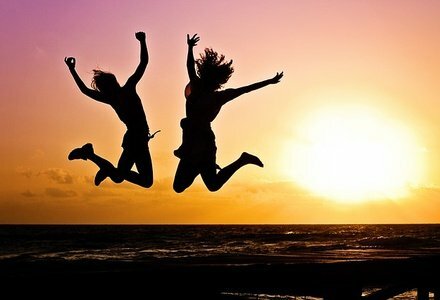 Get rid of stress with our ‘wellness’ services and in the heated outdoor pool and access our exclusive Club La Playa where you can enjoy a fully equipped gym, massages and aerobics classes with teachers. 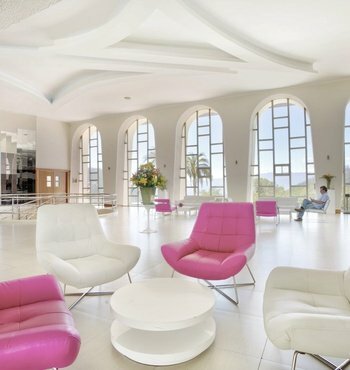 Your well-being is in good hands at our luxury hotel in Quito. And if you are on a business trip in Ecuador, we offer exclusive venues fully equipped for your working days and business meetings. 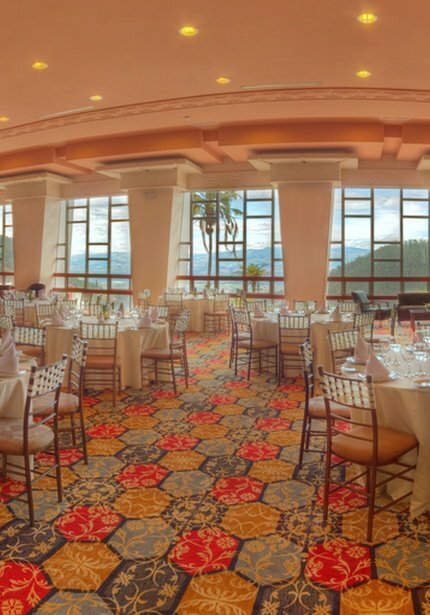 Enjoy the best services and amenities at your business meetings and celebrate big events in the elegant facilities of Hotel Quito by Sercotel. Successfully hold all your corporate events and, if you would like, see what your big day will be like when you celebrate an unforgettable wedding in our exclusive venues. Welcome to Quito. It is located in the first city in the world to be declared By UNESCO a site of Cultural Heritage for Humanity. 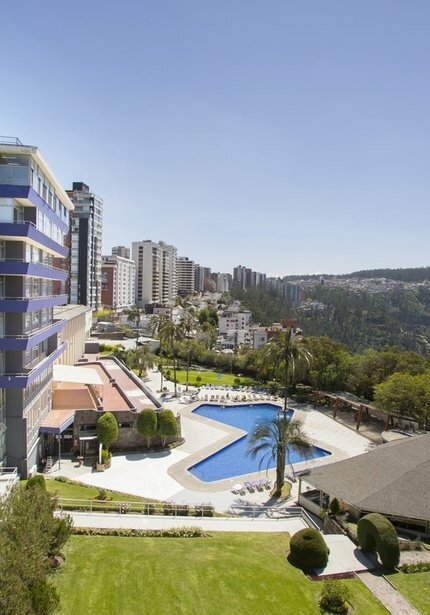 From Hotel Quito by Sercotel, we can suggest a variety of activities and tourist routes taking you to iconic attractions, excursions and architectural gems. If you travel as a family, a couple or with friends, experience the great beauty of the Ecuadorian capital and have an unforgettable vacation close to the old town. Quito, the first World Heritage city, is waiting for you. Enjoy accommodation which includes everything you could want in the Ecuadorian capital, at the best price guaranteed online for all your reservations. Check out our exclusive offers and discounts and you’ll get the best rates on the Hotel Quito by Sercotel's official website. 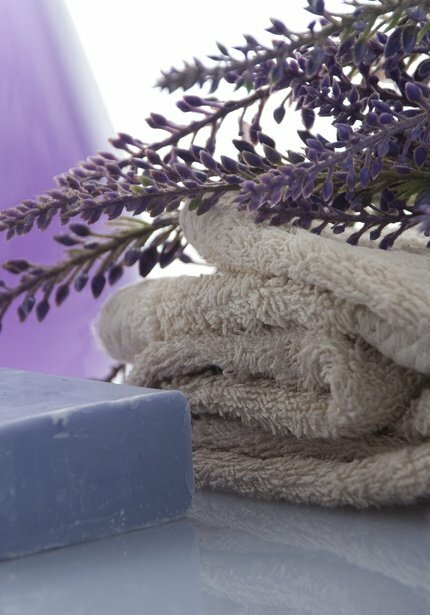 Unwind and let your body and mind relax in the hotel’s exclusive spa area. 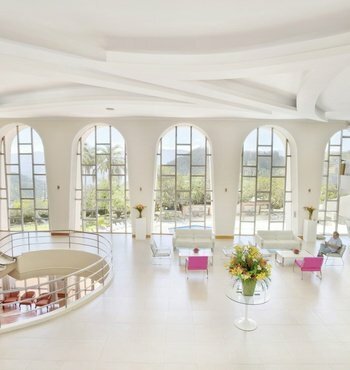 Celebrate your ‘big day’ in our elegant wedding venues.